Web development, despite being a professional field, is something which a lot of businesses take on by themselves. Whether in an attempt to save some money or to maintain creative control over their online presence, this sort of work can be an incredibly challenging task to take on. Website builders like Wix and Squarespace have made parts of it easier, but still show a huge amount of lacking when it comes to others, and this makes it hard to know if they are the right direction for your company. To take this question out of your hands, this post will be exploring a web design route which can be used by anyone; big businesses or small-time hobbyists. Before you can start a project like this, it’s essential that some solid research is completed, as this will help you at each of the further stages in your website build. A lot of companies leave this part of the job undone, making it impossible to create something which will cover all of the bases. To begin your research, figuring out your key demographics will be a priority. This will enable you to put together content which is heavily tailored towards the customers you’d like to serve, while also ensuring that you don’t miss anything out along the way. There are loads of websites which can guide you when it comes to this tricky field. Along with researching your demographics, though, you will also need to build an idea of which platforms will be best for you throughout this process. 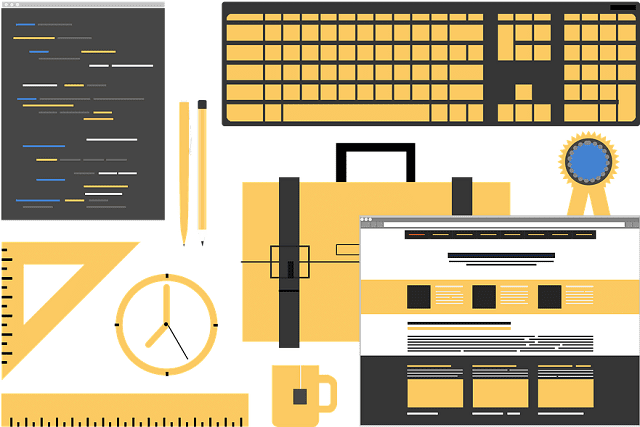 Services like Wix make building your own website into a piece of cake. But, they lack the functionality to enable you to include whichever features you want, and could stifle your design from the get-go. Options like WordPress are much more flexible, giving you access to everything a professional would use for their work, while still making it nice and easy to put something together which you like. The rest of this post will be assuming that you’ve chosen WordPress as your backend platform of choice. Once you have an idea of the platform you’d like to use for your build, it will be time to start figuring out how you’re going to put it together. WordPress has thousands of free and affordable plugins which are created by other users, making it possible to include functionality which you wouldn’t be able to code for yourself, while giving your website the chance to retain a professional look and feel. Before you start with your proper planning, you should have an idea of which of these you’d like to use the most. This will make putting together your build plans much simpler, as you won’t have to work out how you will find someone to do it for you. The planning stage of your website doesn’t have to be too complicated, as this post is covering most of the work you’ll have to do along the way. It’s still worth thinking about the approach you’re going to take, though. It’s always best to start the build process without any building at all, instead of working on the content for your website long before this ever begins. Along with this, mockups of the designs you want to use should be produced, giving you a visual representation of what you’d like to achieve. Once you have this done, you can begin to focus on actually building your website, and this is the part of the job which will take the longest by a long way. Assembling the content you want for your website before the process of building it starts will hasten your work by a large margin, giving you the chance to avoid trying to build something when you don’t know how it needs to be structured. Some people will jump right into their development project, putting together a basic version of their site before adding all of the right content to it. While this route will be the most exciting, it often takes away your chance to have the project completed in a single build, and this will end up costing your valuable time and money. Below, you can find some examples of the sort of content you’ll need to produce. Copy: As far as tools like Google Search are concerned, the copy on your website will be the most important content you have. It is used for SEO, to give clients information, and as a design tool to make the whole site look more professional, making it critical that you work hard to keep grammar and spelling nice and accurate. If you need some help with this, there are loads of blog posts out there which can take you through a process for writing excellent quality copy. Images: Along with the copy on your site, you will also need to think about any images and video you want to have on it. Over the last few years, websites like Pixabay, Pexels, Unsplash, and Canva have made it incredibly easy to find free high-quality professional and stock images. Of course, though, if you have the chance, taking photos and designing graphics of your own will usually improve your end results by a huge margin, even if it takes some time to get it together. Design Elements: While it isn’t exactly content creation, it is good to think about your general design elements at this stage. Colors, fonts, and other design rules are very important to establish early on, as this will help to keep your website consistent, while also making it much easier to get started. Services like Google Fonts are perfect for text, while sites like Coolors.co are excellent when you’re trying to figure out which colors you’d like to use. Having this together with your other content will make the build easy. Once you have all of your research, planning, and content creation complete, you will finally be ready to start the process of putting together a website. Before you can jump right in, though, you will need to start a hosting subscription and buy a domain, with both of these jobs being easy and cheap for new companies. Once that is complete, you can make a start on the jobs which you can do for yourself. General Building: Putting together pages with a system like WordPress is a simple process. There are plenty of free guides and other resources around the web to help you with it, and most people already have most of the skills which are required. It’s important to try and stay as close to your original mockups as possible, along with remembering your design elements, as this will ensure that the end result remains consistent. Plugin Installation / Setup: If you want to have any extra functionality on your website, you will need to install and setup the plugins which will be used to achieve it. Thankfully, most of these plugin tools are well documented, and rely on simple methods like shortcodes to make the process nice and easy. Like the general build, most people will be able to handle this part of the project for themselves. There are plenty of challenges which come with secure web design which most people won’t be able to handle by themselves. Thankfully, there are loads of people out there to help you with this, but it will still be worth doing some research to find the very best examples for your business. Websites like Freelancer make this task simple, but it’s also a good idea to look towards professional companies for support. SEO: Getting a website to show up in Google searches isn’t an easy process. Companies like Better Bistro Media have a wealth of experience in this area, and can be used to save you the time and effort of learning to do it for yourself. Using professionals to handle this part of the job is essential. Most people can’t achieve good results on their own, and this could be the cornerstone of your marketing efforts. Security: Security is also a very important feature for a modern website, and is another job which should be handled by those in the know. To make this easier, having a company handle things like server management, SSL, and even web form validation is a great idea, saving your site from the potential of malicious attacks which could easily make it unusable in the future. Building a website can seem like a simple job when you’re looking at it from the outside. In reality, though, this sort of process can be very complicated, including a lot of work which the inexperienced simply won’t consider before they start. With any luck, this post will give you everything you need to avoid missing out crucial elements of the task at hand. If you need further support with work like this, it will be worth seeking a professional, as this will always make the whole job much easier. Check out a top website design company in Hyderabad for more information. I hope you enjoyed this article about how beginners can build a business website that will be successful and generate revenue. Interested in more articles about improving website development?